Multiple business and entertainment award winner Rich Ferguson is known around the world for his originality and unique approach to cards, chips, and more. 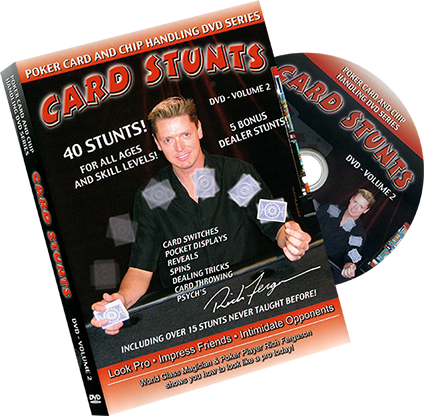 This DVD is packed with 40 of the hottest stunts and tricks you have seen on television or at a poker game - all explained in detail by Rich! Also included are 15 tricks by Rich that have never been revealed to the public - until NOW! "Simply the best! Rich is the authority on Poker Chip Tricks and stunts with cards! I can't wait to see more! My subscribers are waiting for tricks like these! Great Job!"